Are you having a doubt with your current health problems and cannot make up your mind if it is worth a doctor visit? Then here's a free app Your.MD : The Free Symptom Checker App available in the Play Store which can help you out with its amazing features. Check out if you were looking for something like this. It does happen many times, that we need a medical advice for a health condition which has been troubling us in many ways. But it is a common habit of many that we don't visit a doctor till things don't reach an alarming state. There is still a grim picture in the medical world. It is now an open secret that medical practitioners are more keen on making business than meaning it. It has become a common scenario that even for small health consultations, the hospitals and Doctors are putting up exorbitant bills, because of which common people are afraid to take a precautionary step for their health problems nowadays. But I was amazed to find an app that has come up to rescue to this issue, if not complete, but at least to quite a good extent. In my case I was searching for the reasons of why my back pain increases if I stand for a long time, the app gave me quite a number of good possibilities which appeared to be quite accurate and logical. Yes, it is definitely the internet information that the app is leading you too, but at times even this comes handy, as we ourselves may not end up finding the right set of information on health issues, being naive individuals. It provides health advice based on personalized queries. It lists down the major health services in and around your locality. You receive a health report based on the information you provide and they are mostly accurate as they are reviewed by medical practitioners. 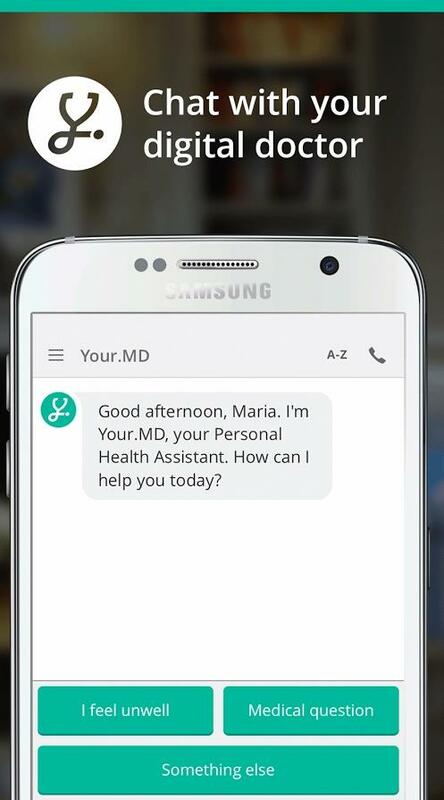 You can Chat with the virtual doctor of the app, who makes you feel at home and guides you through a personalized and medically accurate health advice almost instantly. 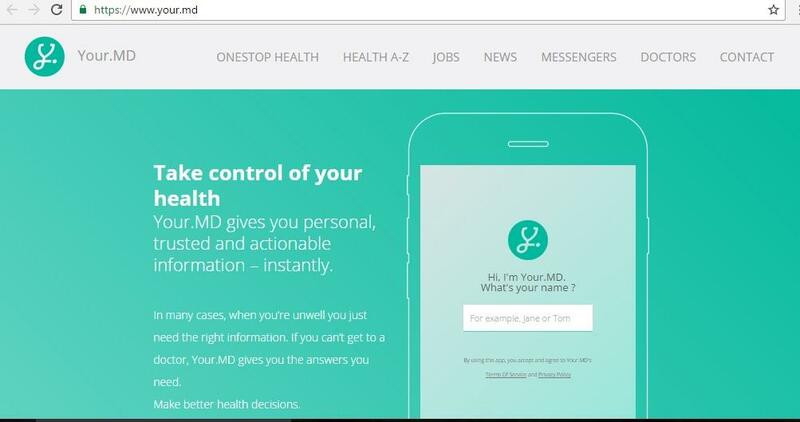 1.The first step is "Check your symptoms" wherein an in app chat window will greet you and ask about your problem. You have to brief on the problems you are facing. It will start with, if you are talking about yourself or on behalf of somebody else. You have to check the relevant option that is provided at the bottom of the chat window. It may ask your year of birth, confirm your gender and then give you a list of possibly related symptoms that are associated with the current problem you are facing. This might continue for some more time, and then it will prompt if anything else you want to say. Here, you have to be careful, and it is recommended you say no, if you want to get the answers to your current question properly. If you say something else, it can go to some irrelevant pages, and you might end up losing your track. One can also ask medical questions and find answers that are written and reviewed by the qualified medical practitioners or doctors and each of these answers that appear as articles are verified by the UK's National Health Service. To provide further specialized services and information, Your.MD has linked itself with a number of selected partners who have been integrated within the app to help you out. You can directly be in touch with these institutions or the Specialized Doctors through this app. Once you choose any one from the above except for "None of these", you would be asked to choose from a long version and short version. Based upon the answers you give your score will be displayed and you would be given the advice if you seek help of a medical professional. 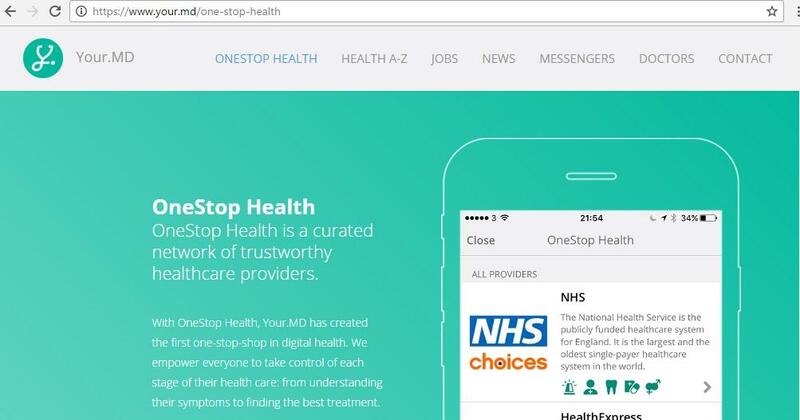 Though the app is collecting information from the internet, as there are some articles exclusively written and reviewed by qualified doctors health professionals and are certified by UK's National Health Service (NHS), the results are far more informative, relevant and accurate than what we get from the search engines. There is a notification system in the app that lets you know whenever there's any relevant research, breakthroughs, or treatments have taken place. All you need to receive these alerts is activating the Your.MD's Health Alerts option. One of the most useful feature of this app that makes it a really must-have one, is its catalog of articles on health topics that are innumerable, all listed in alphabetical order, so finding information on any such topic is now at your fingertips and you get to know more about your health issues than before. 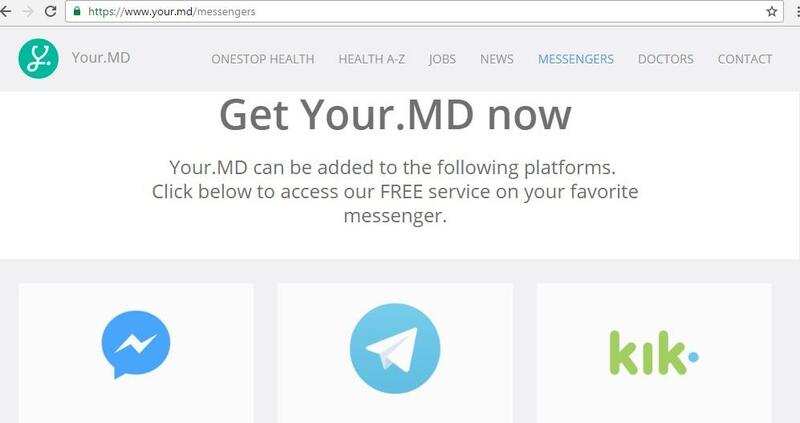 One can even have personalized consultations with this digital doctor through its integrated messenger service: One can check out this check out the Your.MD app on Facebook Messenger, Telegram, Slack and Kik,. The best part of the app is that, it acts quick, helps you with using the app itself and how to make the most of it, like it will say, use smaller sentences with short expressions to let me understand your problem better. The list of "services available globally" there are very few names and India is not listed in it. The Quiz option doesn't give you any chance to go back to the "Main Menu" after you finish one quiz and want to take another. You have to choose the "something else" option, wait for the virtual doctor to finish with his mandatory note and then again have to type "quiz". The in app keyboard doesn't prompt for the word "quiz" when you start typing Q and so one has to type it over and over again which is a little bit annoying. The app might not always diagnose the symptoms well and might not always give the right report or advice. This app is undoubtedly a brilliant idea of making people aware of their personal and family health, as what you might be embarrassed to ask others or consult a doctor in the first instance, this app gives you all the information regarding the issue of your concern. But the app puts up a prominent disclaimer that it cannot be held as a substitute for direct medical consultation or treatment which should be strictly followed by the users.